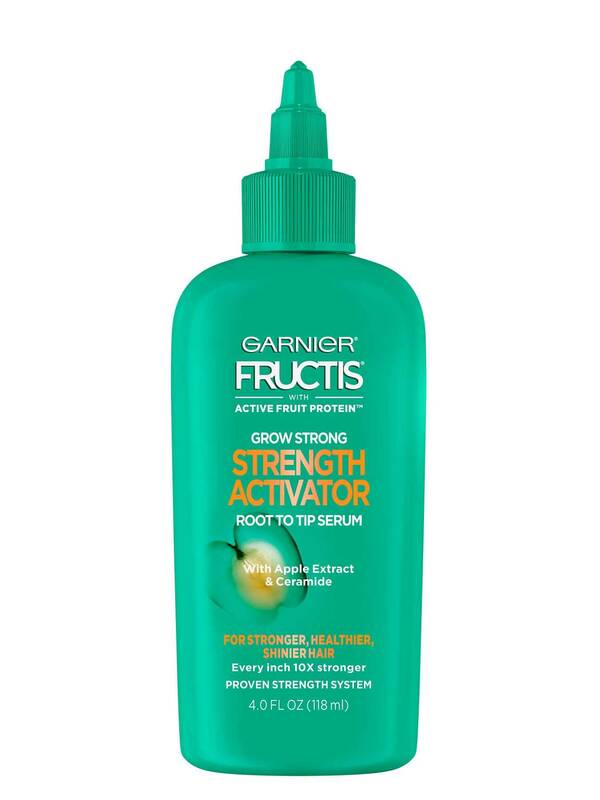 Daily Fructis Grow Strong Strength Activator serum, with Apple Extract and Ceramide, renews hair's natural strength & improves softness and shine, with visibly more healthy unbroken strands. 1. 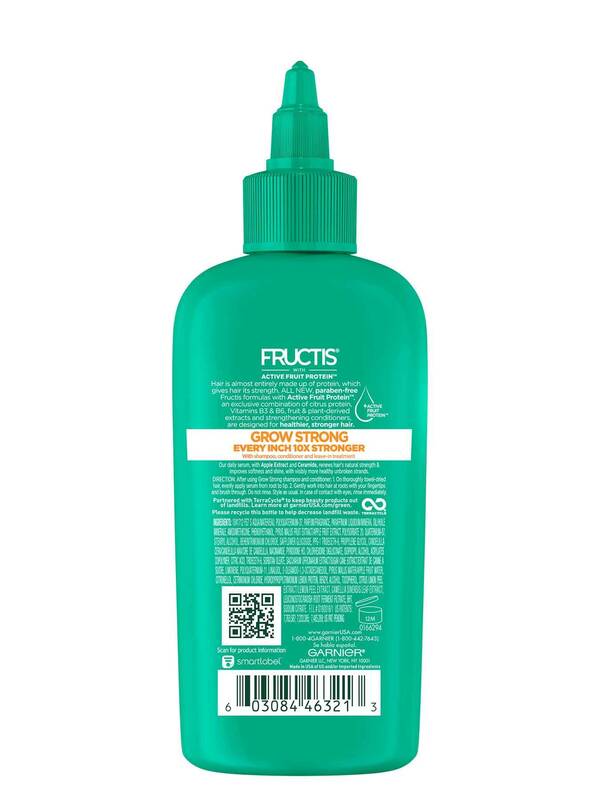 On thoroughly towel-dried hair, evenly apply serum from root to tip. 2. 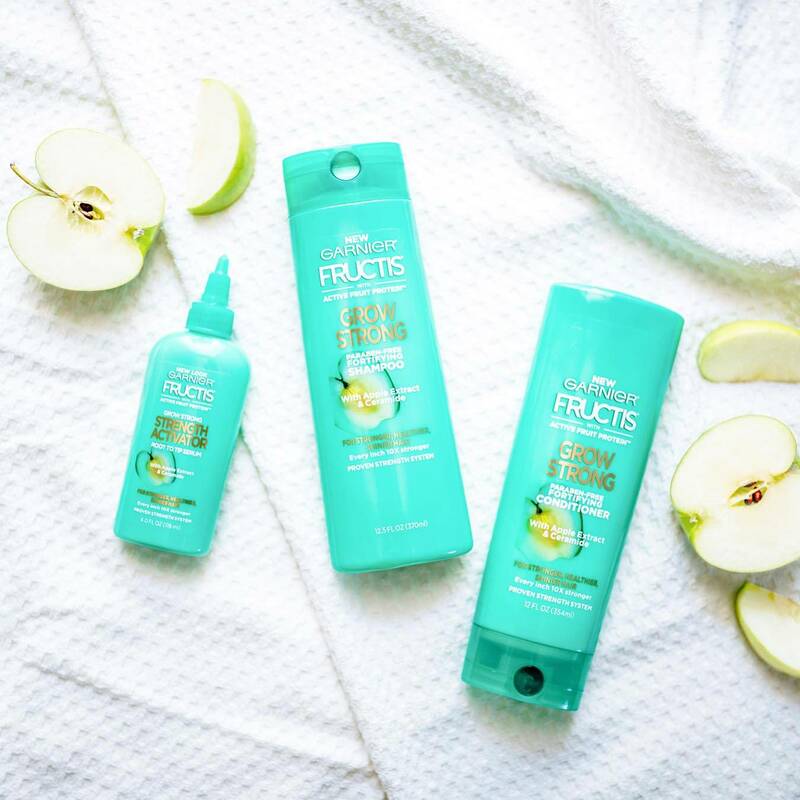 Gently work into hair at roots with your fingertips and brush through. Do not rinse. Style as usual. In case of contact with eyes, rinse immediately. Rated 5 out of 5 by dj1960 from Really works! I have been using this product for a year and have seen considerable difference in the strength of my ultra fine thin hair. It is healthier, stronger and thicker. I would recommend this product to anyone. The only problem is it is not easy to find in stores or online. Rated 5 out of 5 by Eileen65 from Love this product I bought it 3 weeks ago used it and fell in love with the product. It does what is said it will do, make your hair stronger it also makes it fuller. I use the grow strong shampoo, conditioner & activator now can not find the activator anywhere even on Garnier website out of stock. What is up!!! Rated 5 out of 5 by Sunshine82 from Simply amazing I am a african America woman and was looking for a product that i could use to oil my scalp at night. I came across a review of this product on pintrest and decided to give it a try. I was blown away. Not only did this serum hydrate my scalp but it didnt leave a oily residue or weight my hair down. I use this serum every night before i wrap my hair and the results have been amazing. I have been able to discontinue use of the high end expensive products and use this entire line. I am very excited with my results and I honestly tell everyone to try it. Thanks so much !!! Ive never loved my hair as much as i do now.